Last February, I was one of the three lucky brides who had the honor to be picked to be featured on Wedding Essentials’ Beauty Section called “REAL BRIDE, REAL BEAUTY.” As one of the top wedding glossies in the Philippines, Wedding Essentials Magazine is every bride’s planning bible and inspiration guide and I consider it a great privilege to have been contacted by their Creative Director, Crae Achacoso. The “REAL BRIDE, REAL BEAUTY” section is a staple in their Beauty Section where the country’s best makeup artists and actual brides-to-bes collaborate for a dream wedding hair and makeup look that is best suited for the bride’s personality and style. MAC Makeup Artist extraordinaire, Emer Buenaventura did my makeup for the feature while well-establish hairstylist and former L’oreal Professionel ambassador Eddie Mar Go Cabiltes did the beautiful long waves to complete my look. Top wedding photographer, Pat Dy photographed me in what I would say would be the fastest and easiest shoots to do as he has the talent of capturing a woman’s best angles and making her feel totally at ease while posing. For the wedding, I wanted a timeless, elegant and glamorous look which Emer and Eddie Mar beautifully translated into what they dubbed as a Hollywood Glam bridal look. I usually apply and wear makeup everyday and for our wedding day, I want something that would stand out and be distinctive. Emer emphasized my eyes in the look with a subtle smokey eye effect which was dramatic but still balanced out to be a bridal look. To complement the makeup, Eddie Mar gave me long voluminous curls which cascaded beautifully to frame my face. It was perfect because I always saw myself walking down the aisle with my hair down. The overall total look is a dream come true and exactly the way I wanted it to turn out— it was a sophisticated and bold take on bridal makeup and I am so happy with it. I was featured alongside two beautiful and wonderful women, Joanna Aliwalas (soon-to-be Mrs. Cruz) and Fritzie Cabral (or the future Mrs. Tee). Grab a copy of the April 2017 Wedding Essentials Magazine to check out the full feature and write-up! 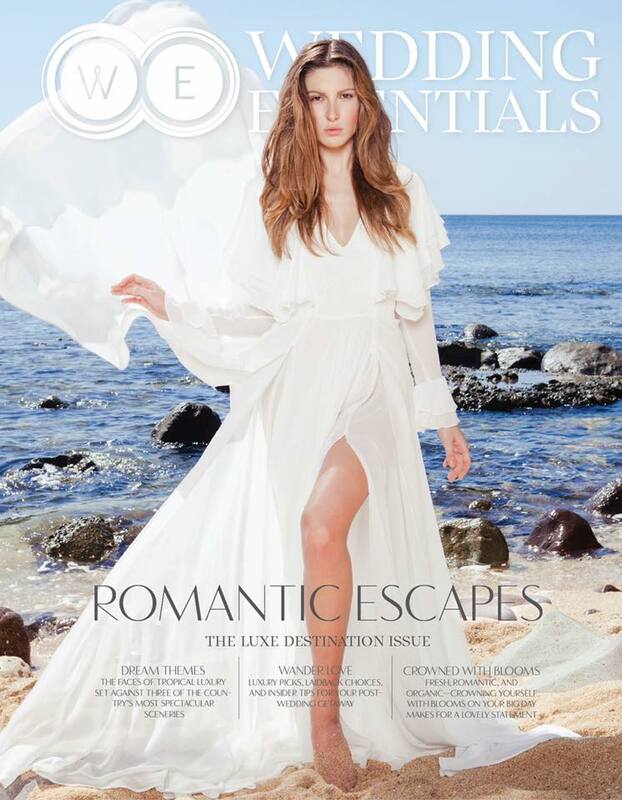 As seen on Wedding Essentials April 2017: Romantic Escapes. Volume 13 Issue 2. This issue, take inspiration from our featured destination venues and find that perfect backdrop to celebrate your love. Grab your copies now! Available in all leading bookstores nationwide.